Service for updating your existing business in internet shop. You have products, and you need complete logistic service over the sale: import of goods, warehousing, packaging and transport to the final customer and Cash On Delivery. 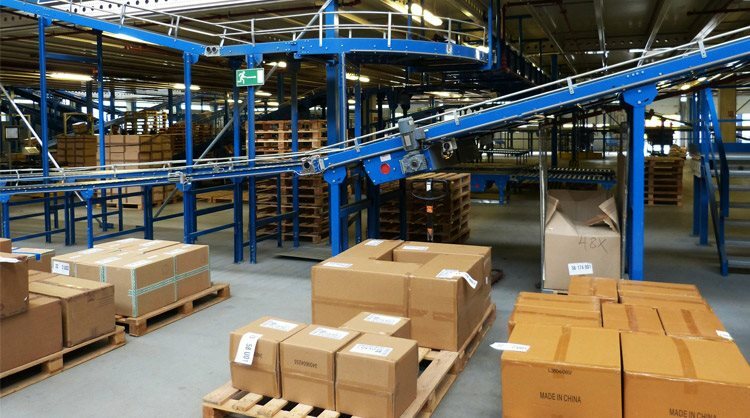 Warehouse and distribution with high speed and effective distributive service. Rapid and effective service in take over and pack of shipments and safe delivery to your clients. From the moment of taking over till the packaging, we offer you complete service of warehousing and distributive services with whom you will decrease the costs to minimum and provides you with flexible distribution and solutions. Our contact center, e-mails and agents are highly educated and professional in solving any potential problems. With unique control system we are monitoring every problem and lead to quick and effective solution. Automatic e-mail correspondence of confirming shipments, orders and returned shipments. Flexible internet communication for every transaction activities for the status of the order in any time. With the high performance in XML communications we are offering connection in real time with high specter of variations of shopping and popular designes. • Complete IT staff that can easily help to improve the experience of the client with availability to our support in real time. • Sophisticated solution designed for transparency of shipments and operational efficiencies. • Electronic process of refused orders, change of addresses and customer care and quick transfer and better service with decreased costs. Reach your goals with unique system for integration specialized for your needs. • CRM system is flexible and has the ability of many variations of operative tools that will satisfy your needs in business. • Huge palette of shopping options and consumers. • IT team that is always available to help you modify your solutions. • Classification of shipments with the best methods of delivery that won’t be affected by any other factors that will lead to decreasing the quality of the product.